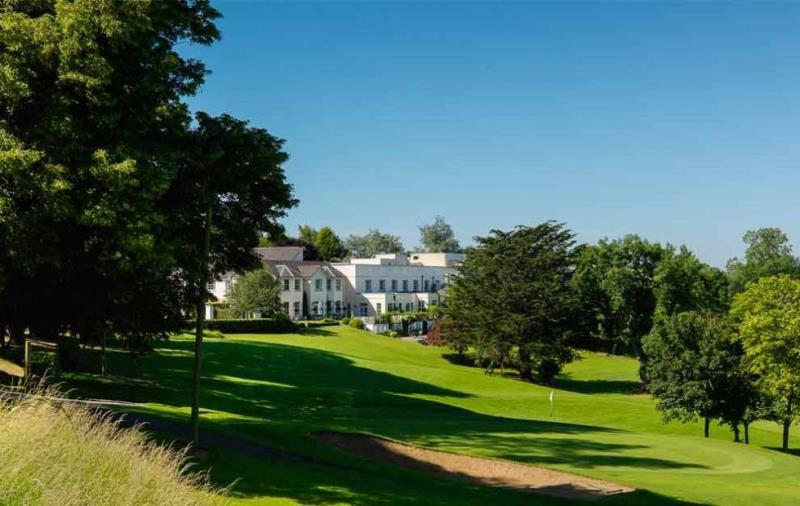 Nuremore combines the virtues of a fine country house hotel with impressive health/leisure facilities and championship golf course. The impeccably maintained Victorian mansion stands in landscaped grounds and rolling parkland, and is ideally situated midway between Dublin and Belfast. The plush, split-level restaurant boasts fine views of the outside world and has the added bonus of a glass-walled 'wine cave' to tempt oenophiles. The kitchen delivers skilfully worked modern cuisine that draws heavily on Irish produce for a menu of stellar, highly complex dishes. There is innovation across the board, from an exotic duo of seared and carpaccio of West Cork tuna with pickled girolle salad, crystallised ginger, curry oil and soy emulsion to witty desserts such as Black Forest trifle with cherry granité and chocolate doughnuts. In between, expect classically inspired mains like line-caught sea bass baked with lemon 'fleur de sel', crushed Jersey Royals, pea shoots and tomato fondue or caramelised loin of lamb with a shepherd's pie, crisp lamb sausage, shallot purée and root vegetables. The wine list is equally impressive, with its compendium of big names and exciting new contenders.